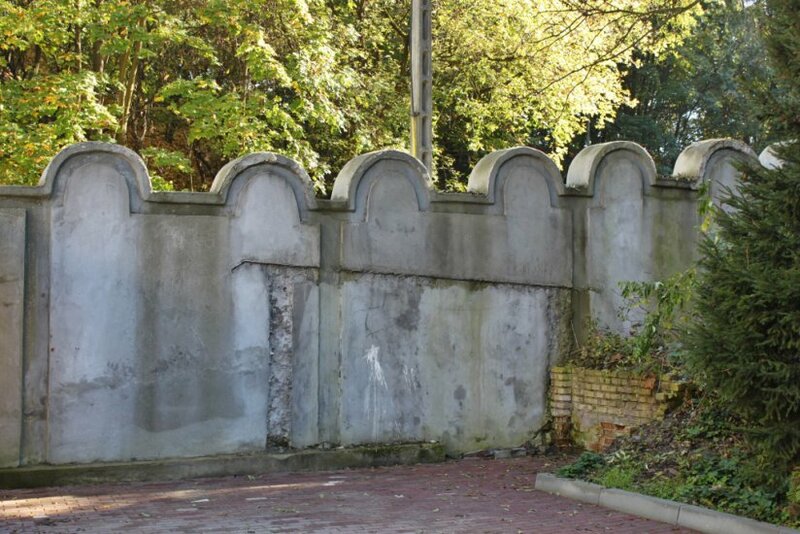 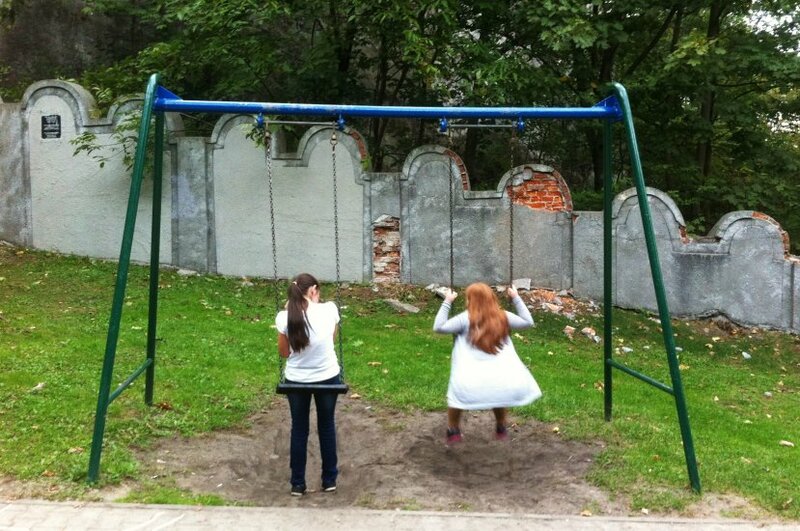 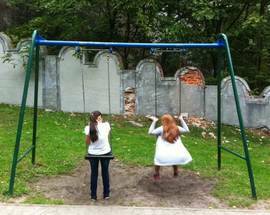 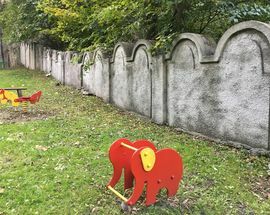 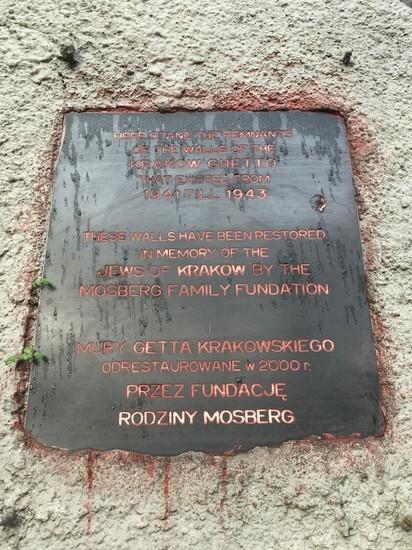 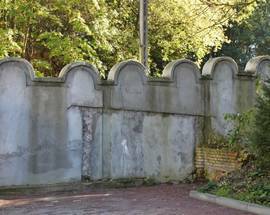 An even longer and arguably more evocative section of the original ghetto wall can be seen in the playground behind the primary school at ul. 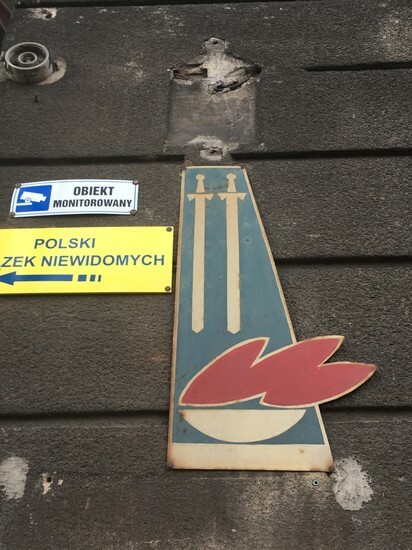 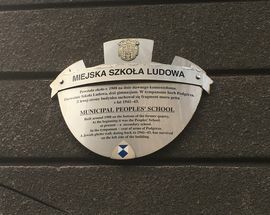 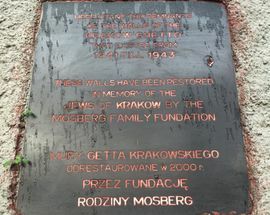 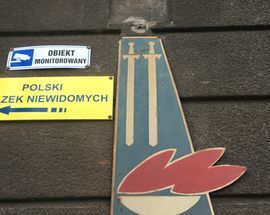 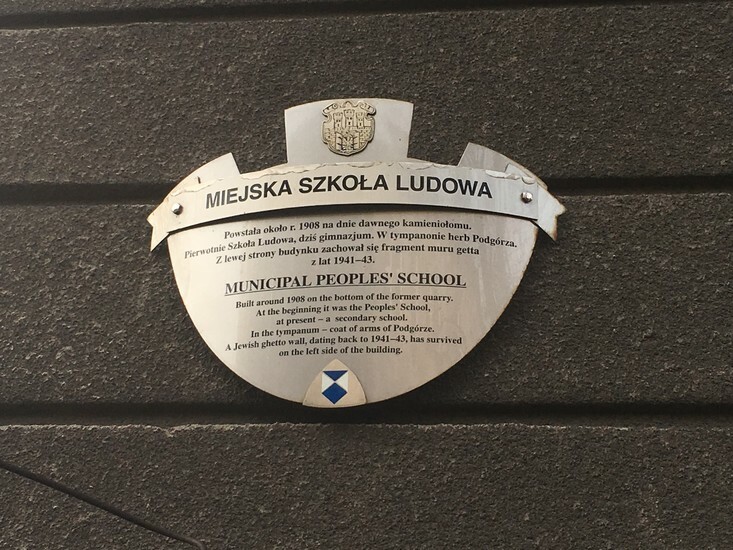 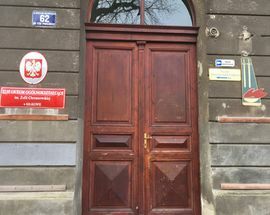 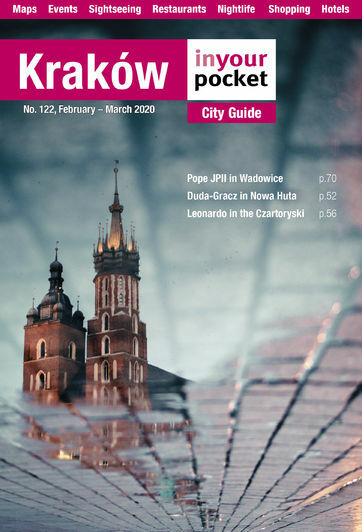 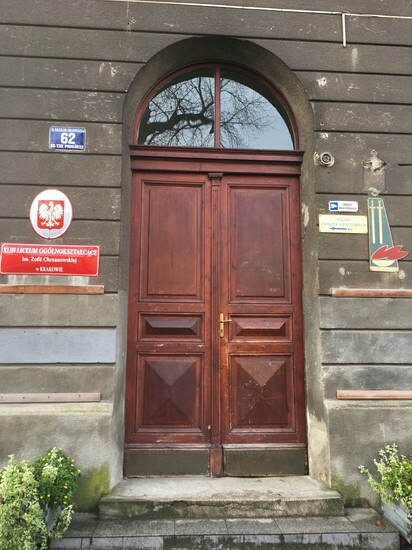 Limanowskiego 60/62. 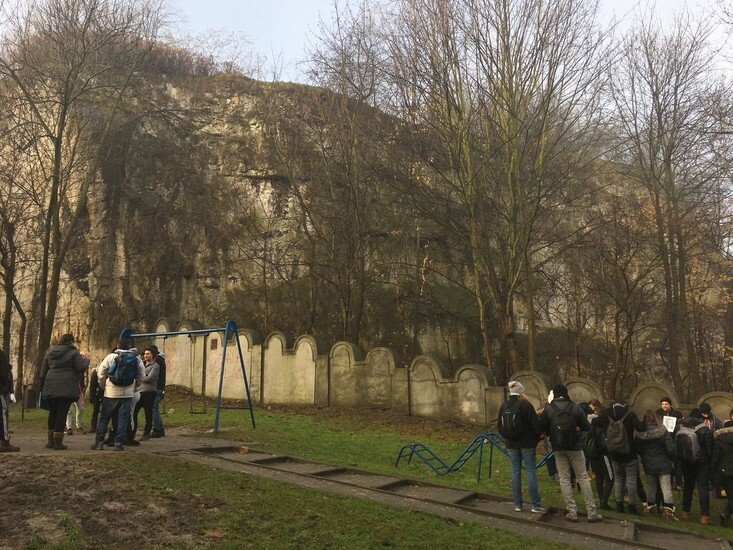 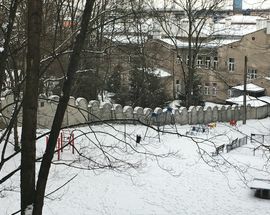 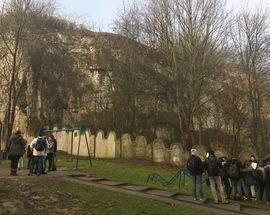 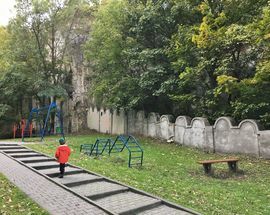 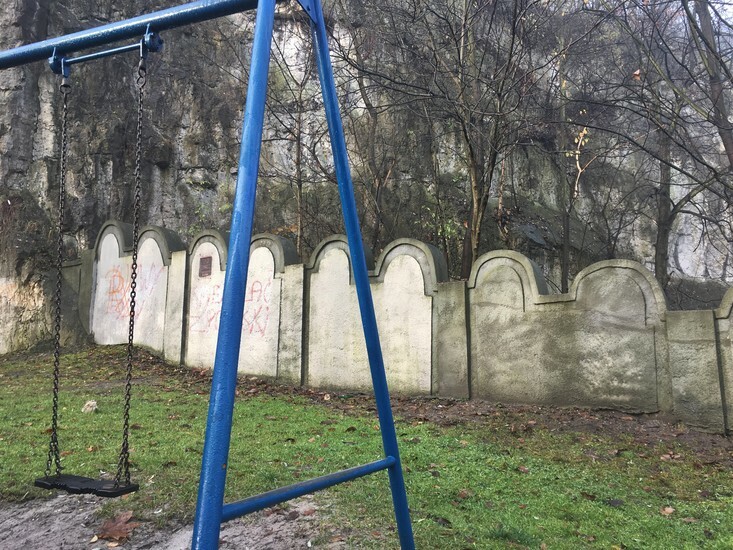 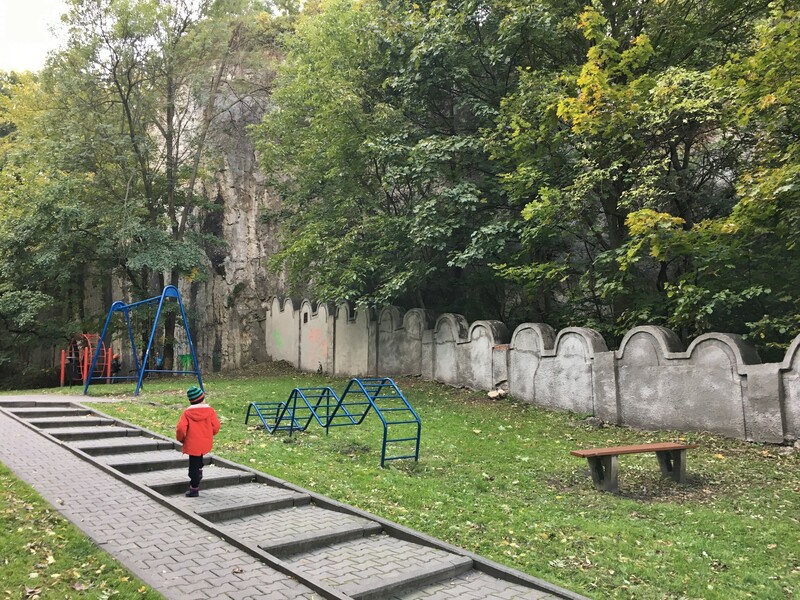 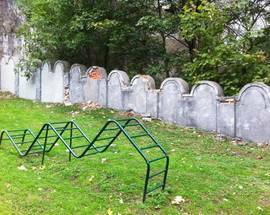 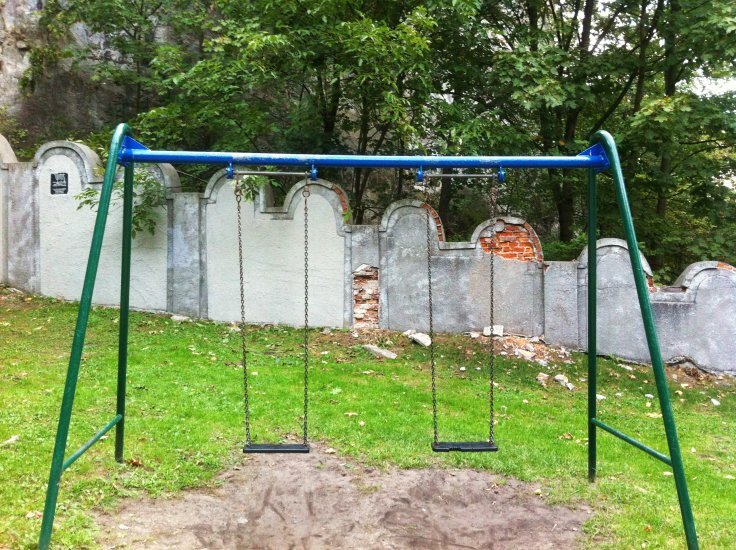 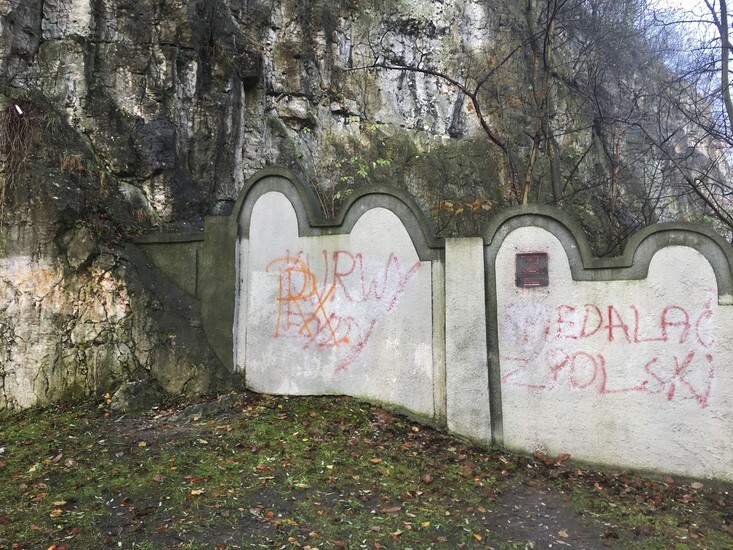 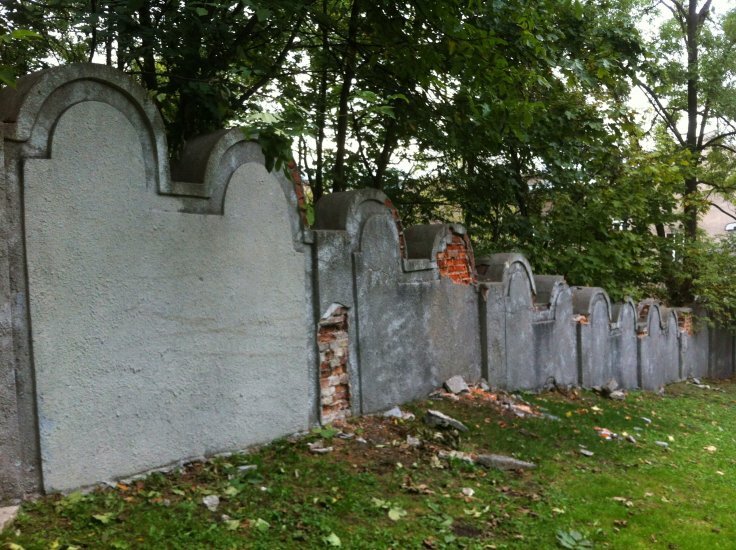 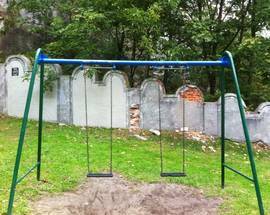 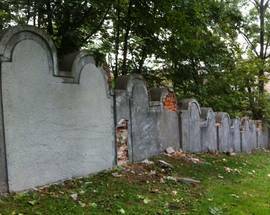 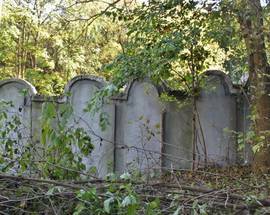 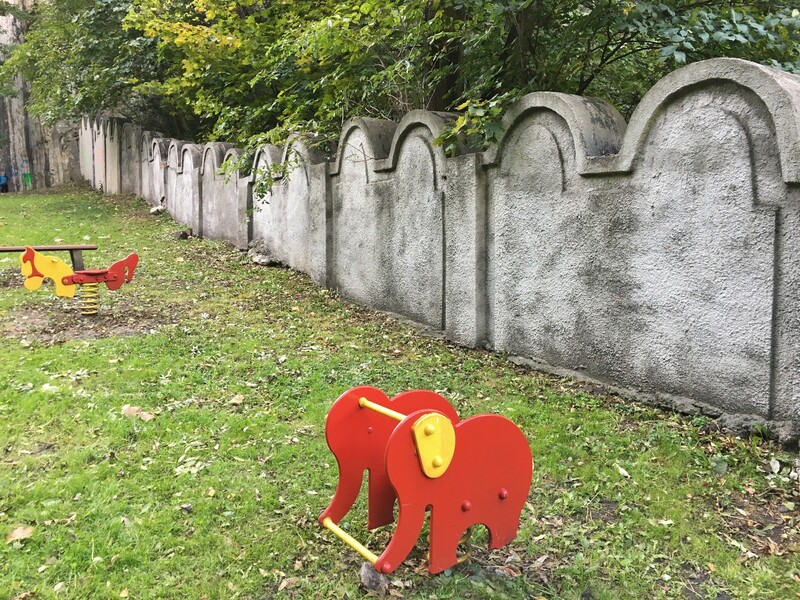 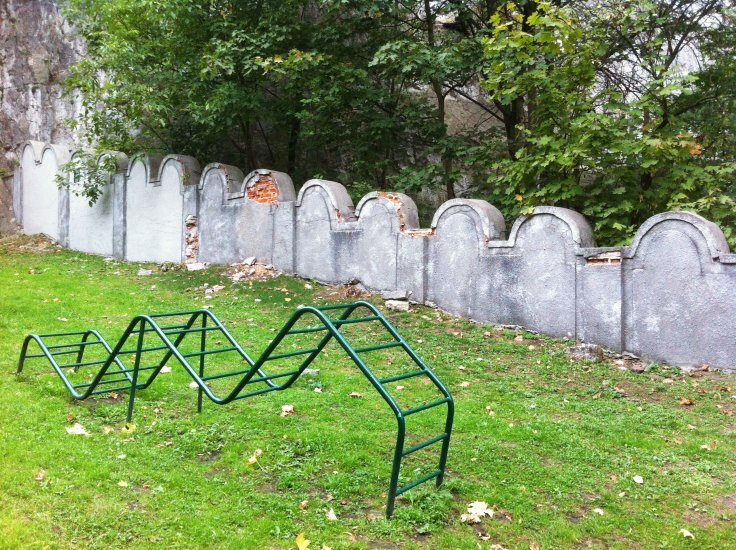 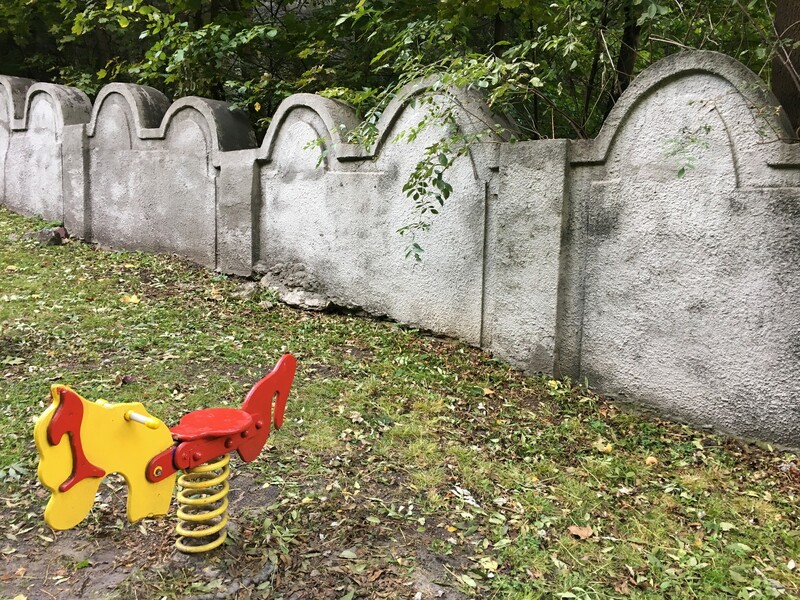 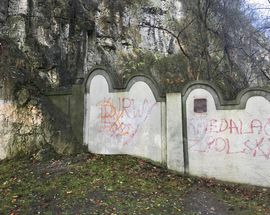 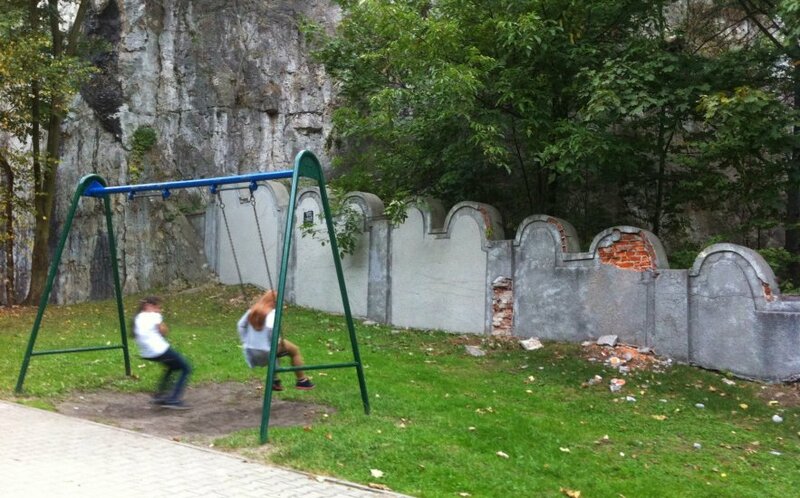 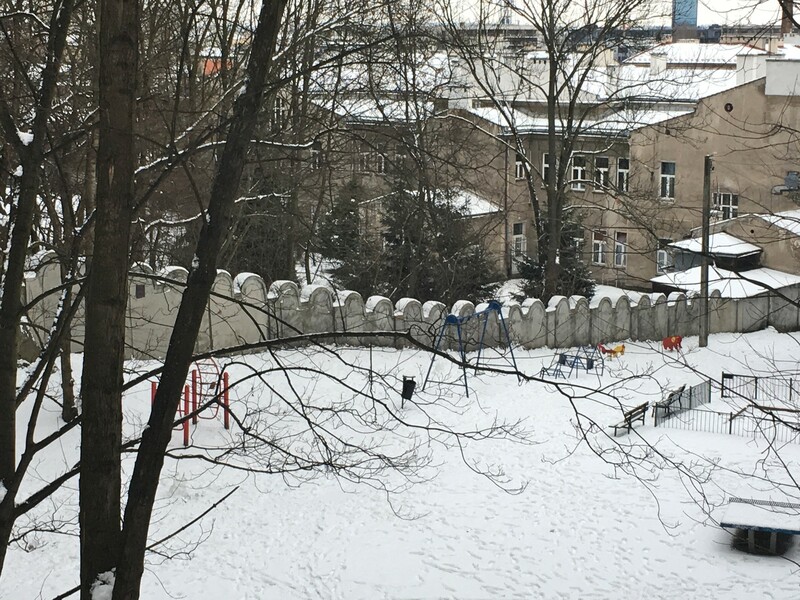 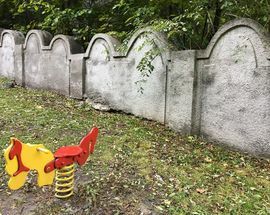 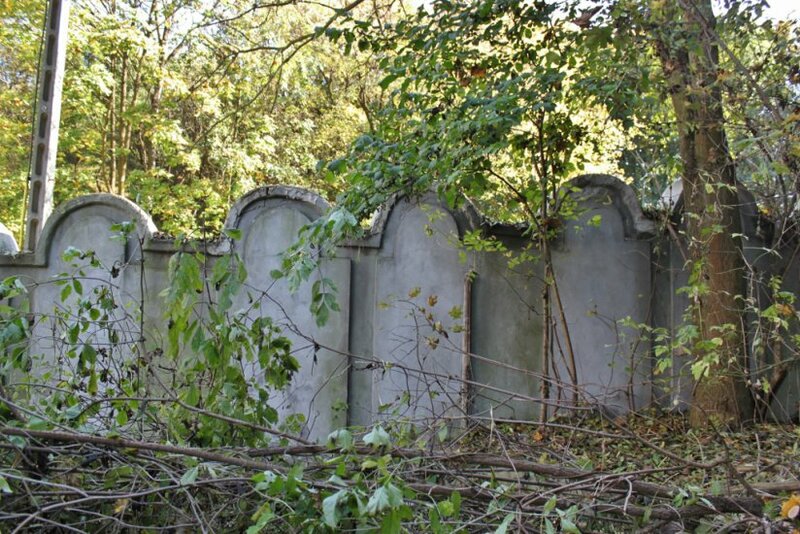 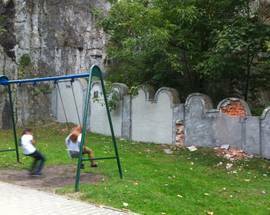 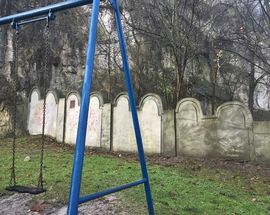 Those looking to continue their creepy tour of the area should climb the steep trail leading from the back of the playground straight up to the Old Podgórze Cemetery, to the right from which is the abandoned Fort Benedict.